Late post this morning! Normally I like to write my posts the night before and schedule them for around 4am eastern time, but last night I was really tired. When I got home from my run I did a load of laundry, watched an episode of Luke Cage on Netflix with Adam and then fell into bed. Maybe I was extra tired from fighting the wind on my run. It was really gusty but the temps dipped into the mid 70s which was nice for a change! My calves have been pretty tight lately so now about 10 minutes into my run I’m stopping to do a series of calf stretches before finishing my run or workout. I used to always do this but got away from it over the last few months for whatever reason. Just goes to show that the little maintenance things do count! A couple of weeks ago a runner named Eric Henningson reached out to me. He is a 28 year old guy who had a dependency on painkillers for five years. Thanks to running Eric is no longer dependent on painkillers. 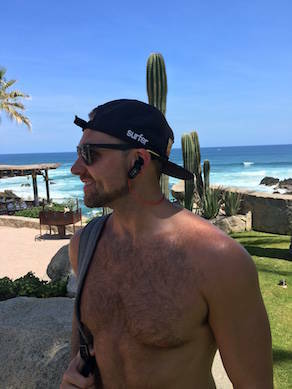 Now he writes a fitness blog and even brought out his own line of bluetooth earbuds for runners called Runnerz! These earbuds are made to stay in your ear without bouncing around (or falling out) while you’re running and sweating. Eric asked if I would like to try a pair. I’ve had two other offers to review bluetooth earbuds from big brands here on this blog but I turned them down because I LOVE my Yurbud Inspire 300s. However, I think Eric’s story is inspirational and I like supporting small business owners (especially when they’re runners) so I thought, why not! Since I’ve never used bluetooth earbuds before I wasn’t sure what to expect, but HELLO they are pretty amazing. While I’m still fairly young and I like technology (Adam and I are turning our house into a smart home), I’m sometimes resistant to change which is why I hadn’t moved to bluetooth yet. I thought I would miss the cord – which is a weird thing to think since how many of us miss having to use phones with cords attached?! I wore the Runnerz during my long run over the weekend and they stayed put in my ear the entire time. 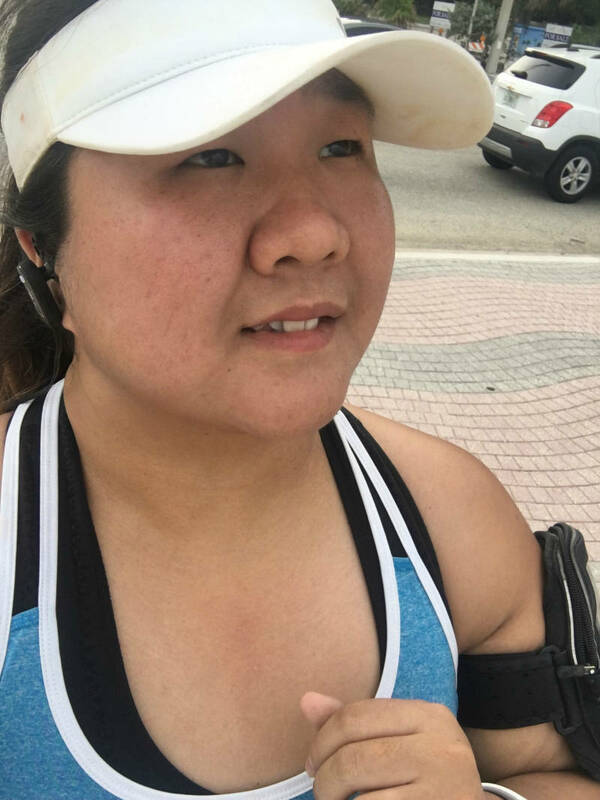 If you remember it was 90*F (feels like 95) during that run so I can’t imagine I’ll ever get sweatier and the earbuds never fell out of my ear or started sounding scratchy because water/sweat was getting into them. 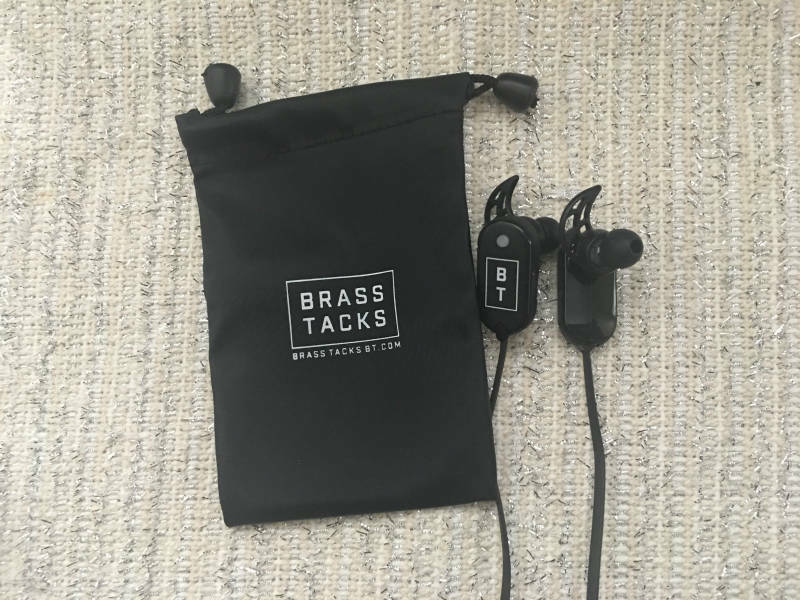 The earbuds themselves are super lightweight. You will completely forget that you’re even wearing earbuds which is something that never really happens when you’re still using corded earbuds because the cord is always flying around or getting caught on your arm. Charging the Runnerz up is super easy. 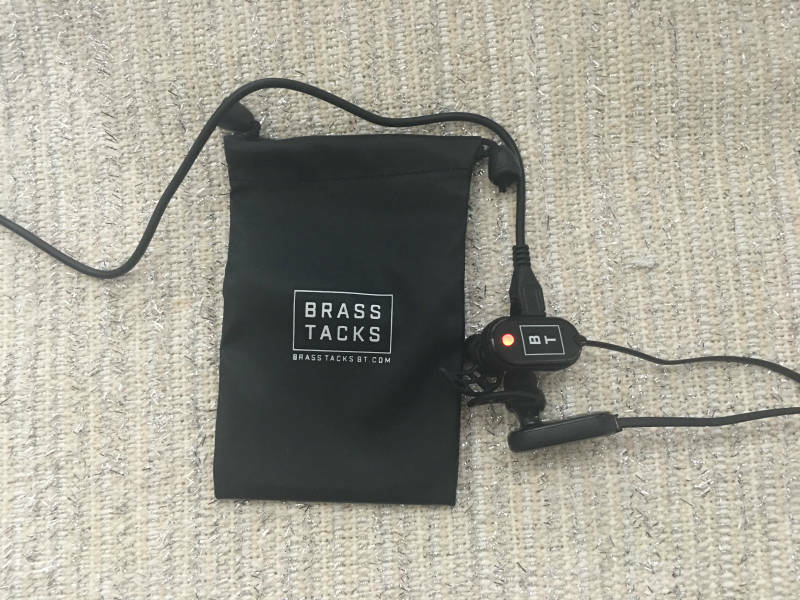 They come with a USB cable and charge completely in just about one hour (that’s fast!). You can tell that they’re changing because the little light on the back of one of the buds turns red. The earbuds have tiny little buttons on the side that allow you to quickly change the volume, skip songs, pause songs, accept a call and do all of the other things that you want your earbuds to allow you to do. 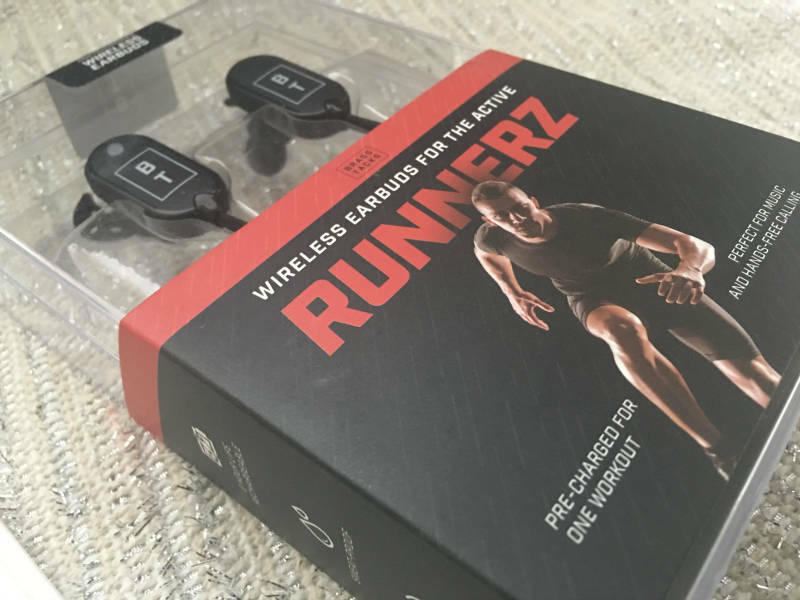 If you’re looking to move to bluetooth earbuds, or you’re in need of a new pair, I can definitely recommend Runnerz. They come in black, red and blue and have a 1 year warranty. Thanks to Eric for taking the time to share his story with me and for allowing me to try out these earbuds! Do you use bluetooth earbuds? What music player do you use – spotify, pandora, google play? Previous Post Great Running Weather + New Garmin? Next Post New Home! New Garmin! New Lipstick Vlog! These look amazing. Thanks for sharing. I have a set of bluetooth earbuds – I charged them, linked them to my phone…and never used them. I’m not sure why. I guess I should get them out and give them another go. These look great! I asked for a pair of Bluetooth headphones for Christmas last year…not for running but for indoor cycling so I could watch Netflix or listen to podcasts. 🙂 I got a pretty cheap pair though, and now they don’t even work anymore (won’t hold a charge). I”ll have to check these out! I mostly use Pandora or 8tracks to listen to music. That’s just at a computer though, I never really listen to music from my phone. They look great! It was so nice of you to help a fellow runner. That is great they didn’t bounce out. Those look really cool! I’ve never tried Bluetooth earbuds and I would be very worried they would fall out of my ears. Did they stay pretty secure? These ones were VERY secure! They didn’t budge at all, even when I was super sweaty! These sound great! I havent tried wireless headphones and Im not sure why not. I don’t run with music but it would be nice to be able to use them if I wanted to listen to a podcast during a run or walk! Totally! I’ve been really into listening to podcasts on my long runs lately. It’s funny because I never used to be able to listen to podcasts during easy runs… I think because I wasn’t really running those runs easy. Now that I just relax into an easy pace based on my heart rate I can actually pay attention to what’s being said! Bluetooth earbuds are life changing. I am coming from the exact same place as you did because I LOVE my Yurbuds. And the company has amazing customer service, which makes me want to be loyal to them even more! But I made the switch during my triathlon training and will never go back. I have the JBL earbuds and so far they have been great. Also, I love that you turn down offers to promote things if it’s not what you believe in. That is awesome! Congrats to Eric on his business and finding strength in running! How inspirational. Agreed! Yurbuds is such a good company! I think I’m going to transition them over to my office. Right now I use Apple earbuds at work and they stink… actually one earbud doesn’t even work anymore so I only hear things out of the other one haha! Good for Eric! I know addiction is a horrible disease. Awesome that running has helped him overcome it. As you can probably guess… I do not use bluetooth headphones and I still use an mp3 player. 🙂 I use the headphones that wrap around your ears and they really work for me! I think the wind has made even my easy runs feel like resistance work! I guess that’s a good thing? It makes us stronger! I love Yurbuds, and they have BT headphones I’ve wanted to try, but my JayBirds are still in prime condition and don’t need to be replaced yet! Eventually, when they die, I’ll get a different pair because I think there are some great, less expensive options out there these days. I haven’t ever used Bluetooth headphones. I can think of a few situations where they would be really handy for me. 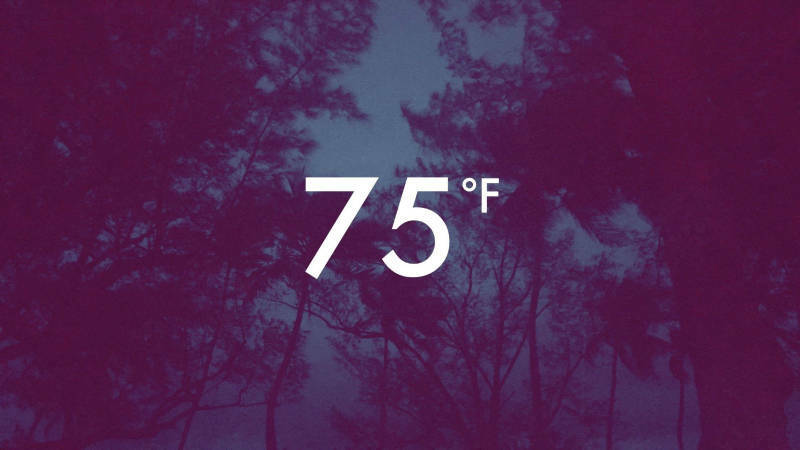 Wow, 75 degrees must have felt quick refreshing 😉 I agree – I need to keep up with my stretches for hamstrings and glutes. They really do help!